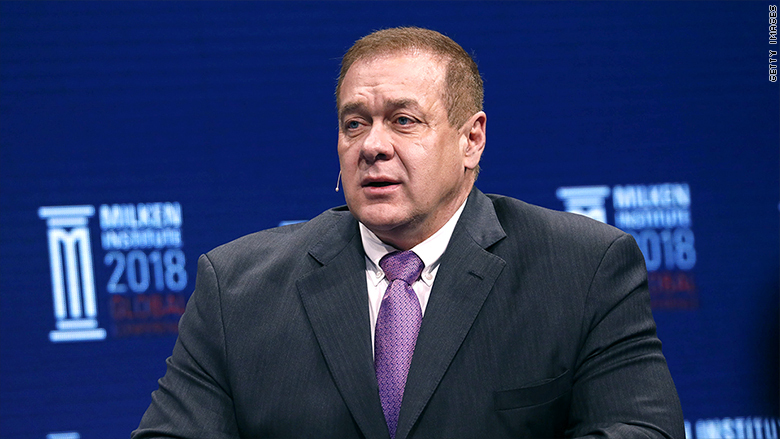 Scott Minerd, a managing partner at the global investment and advisory firm Guggenheim Partners, is Wednesday's guest on CNNMoney's "Markets Now." Minerd will discuss pressing topics including the possibility of a recession in the next few years, the significance of historic levels of corporate debt and what the government should do to help keep the economy healthy. "Markets Now" streams live from the New York Stock Exchange every Wednesday at 12:45 p.m. ET. This week, CNN correspondent Paula Newton will host the show from the NYSE floor, and Minerd will appear remotely. Newton is filling in for the program's regular hosts, CNNMoney editor-at-large Richard Quest and CNNMoney anchor Maggie Lake. Each week, the 15-minute program features interviews with markets experts who share insightful commentary on the news. You can watch "Markets Now" at CNNMoney.com/MarketsNow from your desk or on your phone or tablet. In previous episodes, former President Barack Obama's chief economic adviser Austan Goolsbee warned that economic growth is "not as good as the optimists believe," and hedge fund founder Jim Chanos said that Tesla investors are "paying money to lose money."